The Utthita Padangusthasana posture is typified as a standing, intermediate balancing posture in yoga. The asana meets the eligibility criteria for beginners and effectively improves one’s balance, coordination, and focus. The Utthita Hasta Padangusthasana Sequence has sufficient scope for different variations. You can allow bending of the lifted knee and extend the hoisted leg to the side instead of stretching it out front. The position of the hand too could be adjusted, resting it either on the foot or along the top of the shin. Its benefits consist of a mixed bag of integrated mind-body gains. 1. Come to stand on your mat, strong and unyielding in the Mountain Pose. Keep your hands resting on your hips and draw up your left knee close to your abdomen. Next, keep your fingertips interlaced to the front of your shins. Lifting your chest up, engage the muscles around the mid-rib. Keep your pelvis strong and square. Take a hiatus for breath here and nestle in the stretch from shoulders to waist. 2. Extend your left arm over the left thigh, bringing it over the top of the ankle. Now, clasp the big toe of the left foot with your first and second fingers. Balance at this point is crucial. So, pause and take a deep breath in and just hold on in the posture without wavering. Note: For some, Hasta Padasana Yoga may get difficult for a tightness felt in the hamstrings. A small prop support like a strap looped around the left foot to draw the feet closer is highly recommended. Make the look go around the sole of your feet. As you are stretching the feet closer to your torso, either by the loop strung around it or by holding off the big toe, firm up the front thigh of the other leg. 3. Breathe in and straighten out the left leg to the front. The knees should not be flexed but stretched out sharp straight. Maintain your shoulders on a level and flung slightly back and away from the ears. Also, rest the right hand on your right hips to gain an extra leverage point. Hold at this stage of Utthita Padahastasana and breathe steadily. Breathing mindfully is concentration and that concentration garnered also helps stay pivoted and balanced in the body. Make full use of this great instrument of breath. 4. This final step of Hasta Padangusthasana must continue for 30 seconds tops. Next, swing about back to the center, coordinated with an inhalation. The lowering of the foot should come with the following exhalation. The gaze must be waived on to the right side, over the right shoulder. In these moments, maintain your chin parallel to the ground. Reverse and repeat with the other leg to the other side and extending for the equal length of time. Localized Strengthening- an overall strengthening and conditioning of the body are achieved. Relaxes Tense Hamstrings- The glutes and hamstrings stretch in this pose from step 3. Works as a thorough relaxant and agility improving movement for the lower body. Mind Calm, Focus, and Attention- gain sharp-eyed attention and focus along with a heightened sense of clarity and vision. Relieves Osteoporosis- A disorder characterized by a gradual weakening and thinning of the bones is a vulnerability that may result from a lot of many factors, from malnutrition to ageing. A comparative examination of bone mineral density in those who do yoga and those who don’t show the former to be more resilient to the above-mentioned factors. Utthita Hasta Padangusthasana benefits include protection of the waistline ball and socket, preventing the area from the osteoporosis-prone fracture. Strapping the Ball of the Foot- Bind the feet you are lifting with an elastic-strap around its heel and pull it with the corresponding hand, all the while keeping your torso unbent. This prop especially helps tight hips and hamstrings achieve a full scope of movement. Greater flexibility in this unique variation of hasta pada angusta asana, literally, ‘hand-to-big-toe pose’ is foisted even though you do not have to lift the leg very high. Strap up the ball of one foot as you stand in Tadasana and hold the loop in the hand corresponding to that knee. Make flexibility easy! Bent Up Knee Move- As you hold your big toe with your hand, use the freedom to keep the knee bent in this variation. Stay bent in the knee when you have lifted your leg just as much as it takes to ease and turn the leg to the side. The knee bending lets your pelvis settle better in the pose and lifts your torso appropriately. Against the Wall Variation- This goes for beginners as well as the ones who feel the requirement for a bit more grace and poise in the pose. Perform against a wall to your left and stand at an arm’s distance away from it as you follow through the motions. Without leaning greatly, just keeping a hand on the wall, stabilize your torso as you do the lift-up feat. The quality of this posture is mild, though invigorating. There are not too many risks for a light session of the Utthita Padangusthasana, unless you have the following critical conditions—injury in the ankle, lower back injury or weakness, tightened hamstrings. Slow and eased performance of this posture is also permissible during pregnancy. 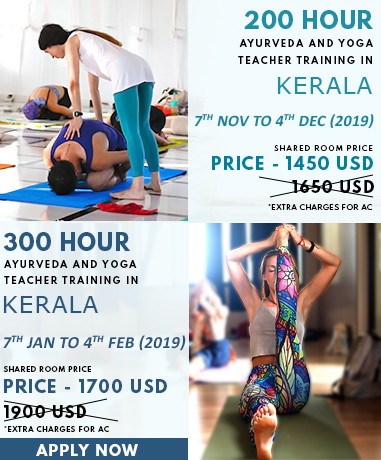 To know about the traditional aspects of this wonderful asana in further detail, explore our Yoga Teacher Training programs. To know about Utthita Padangusthasana in further detail, explore our Yoga Teacher Training In India.